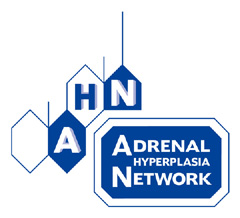 This web site www.ahn.org.uk is being continually developed.Â Articles will appear on various issues of CAH including Endocrinology, Gynaecology, Surgery, Urology, Fertility and Psychology. We work closely with the medical profession having 10 medical advisors and are currently involved with some research into improving treatment.Â We are also writing a book on “CAH Surgery and Dilatation” aimed at GP’s, Nurses, Adults, Teenagers and Parents. We have contact with International Support Groups in Sweden, Australia, USA, New Zealand, France, Finland, Holland.Â In the UK we work closely with CAHG, AIS Support Group UK, GIG, ROSA, Contact a Family, Rare Disorders Alliance and the Child Growth Foundation. We provide support by letter, e-mail and meetings.Â Telephone support is only available to members.Â As the network grows, we hope to be able to raise both awareness and funds not just for support but also CAH research.Â We are building up a library of information on CAH from all over the World, and are working on information packs and have a booklet specifically for Adults & Teenagers with CAH written by Dr G. S. Conway and also forms a major part of this web site.